Are you a teacher with students between 8 and 15 years old? Do you want to enroll them in an exciting mission exploring a local environmental problem around your school area? Join us and become, with your team, climate detectives. 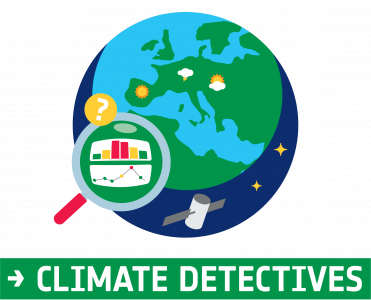 Climate Detectives is an ESA school project for students between 8 and 15 years old. Students are challenged to become climate detectives by investigating their local environment. By playing with science, students will explore and analyse a local environmental issue, and propose a possible way to reduce its effect. Is the local industry growing affecting previous green areas? Is the contamination rising too much around the harbour? What about the tourist impact? These are just few examples of possible projects to explore. Create your own mission goal. We will very happy to help you by providing applications ready to use in the classroom. You can use these to obtain current satellite images over your area, and even to compare with old satellite images for analyzing changes. We encourage you to complete the analyses with on-site observations or experiments. The project aims at developing and reinforcing the students’ STEM skills and at stimulating their creativity, critical thinking and initiative to improve their understanding of climate issues and positively changing behaviors that can have an influence on such issues. 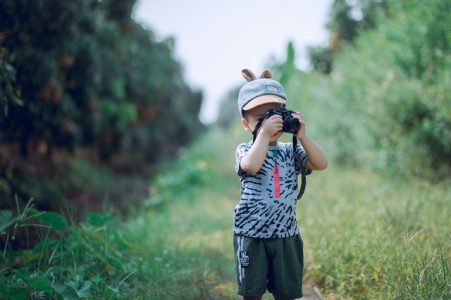 To improve the younger generation’s awareness and knowledge of Earth’s climate, both as a global issue and in local environments, and prepare them for the climate challenges of this century. You can apply by filling out the submission form below before the 15th November 2018. Participation is open for teams from Norway, Sweden and Finland. Participation is open to teams from 8 up to (and including) 15 years old. Each student team must consist of a minimum of six students up to the whole class. Each team must be supervised by a teacher or mentor acting as the team’s point of contact with Nordic ESERO. Each team can submit one entry only and each student can only be a member of one team. In this phase, students will identify a local environmental problem that they would like to investigate as ‘Climate Detectives’. Students should define the problem based on questions that arise from their school studies or from observations in their local environment. In this first phase, the team have to define the problem they want to investigate and write some guidelines about how this is planned to do. Nordic ESERO can help in orientating how to proceed to analyse the defined local environmental problem if needed. Use our contact form or send an email to post@esero.no if you need help. Teams have until 15th of November 2018 to identify a climate/environmental problem by using the submission form. After receiving the applications, Nordic ESERO will help the teams by reviewing and providing feedback. Teams will receive feedback by 9th January, just before the second phase starts. In this phase, students will work with the project by, for example, making measurements in the local area, analysing and comparing satellite images with local observations and experiments done on field, etc. The main objective is to draw a conclusion about the problem they are investigating. During Phase 2, ESA or, Nordic ESERO will organize online events in which teams can «meet a scientist» and receive background information and tips. We can all make a difference! Based on the results of their investigations, students should decide on the actions they want to take – as individuals and as citizens – to help reduce the problem. 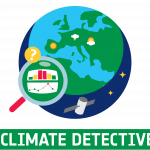 Teams should record and provide evidence of their actions, and will have to share them with the ESA Climate Detectives community. In due time, ESA will provide information on how teams can share their results. At the end of Phase 3, ESA will host a final online event for participating teams. Scientists will point out relations between the ESA Climate Detectives projects to the climate research being conducted at ESA. Number of team members Enter a number greater than or equal to 6. Here, teams will describe the climate/environmental problem that they propose to investigate as 'Climate Detectives', including guidelines about how this is going to be done. Are you a teacher with students between 8 and 15 years old? Do you want to enroll them in an exciting mission exploring a local environmental problem around your school area? Join us and became with your team, climate detectives.